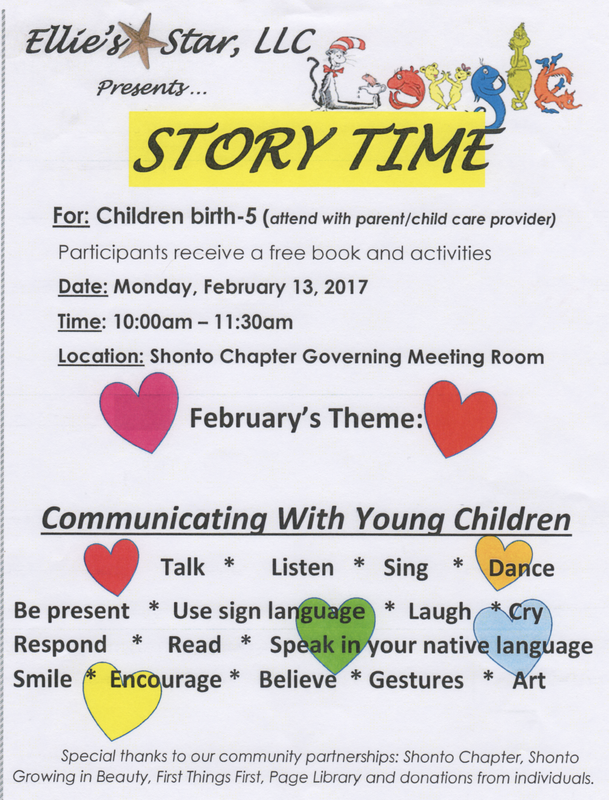 SHONTO — Ellie’s Star LLC will present “Story Time” for children birth to five from 10 to 11:30 a.m. Monday, Feb. 13 at the Shonto Chapter Governing Meeting Room. Children who attend with a parent or childcare provider will receive a free book and activities. Special thanks to our community partnerships: Shonto Chapter, Shonto Growing in Beauty, First Things First, Page Library and donations from individuals.